The hole Equifax keeps digging for itself just keeps getting bigger and bigger. The company’s CIO and CISO (whom some have raked over the coals for her music degree) announced their immediate retirements last week as affected consumers continued to cry foul over its shoddy attempts to provide assistance in the wake of a now-infamous breach that involved the data of 143 million people. Not to be outdone by its own incompetence thus far, Equifax has also revealed that a data breach occurred in March, and may have been carried out by the same hackers. To top it all off (though this story seems very Theranos-like in that it just keeps on giving), the DoJ has launched a criminal investigation into Equifax officials that may have violated insider trading laws when they sold $1.8 million in company stock before the initial breach was revealed. From Kiwi: “Re: Orion Health’s Singapore project. Your initial statement of the Orion Singapore project is overstated. It’s really just an expansion of the work they have already done with Accenture as prime on a national EHR awarded in 2010. Its just a Rhapsody deployment, not a national EHR. So there is not not much net new revenue. Noting about that deal would contradict potential office closings in Singapore for a company tight on cash.” Per Kiwi’s digging, this announcement from 2010 does indeed name Accenture as the National EHR contractor, along with team members from Oracle, Orion Health, Initiate Systems, and HP. Welltok hires Chris Power (Paycor) as CFO. Influence Health relocates to larger office space in Atlanta. The company, which has grown its Atlanta workforce to 48 employees since acquiring BrightWhistle in 2015, plans to hire an additional 60-70 over the next two years. Gary Fingerhut, former executive director of Cleveland Clinic Innovations, is charged with conspiracy to defraud the Cleveland Clinic out of $2.7 million. 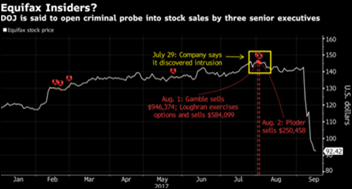 Fingerhut and an unnamed accomplice opened a shell company that Cleveland Clinic Innovations hired to develop medical charting software. The shell company was paid $2.7 million in total, but delivered no goods or services in return. Investigators found that $469,000 was funneled directly back to Fingerhut. 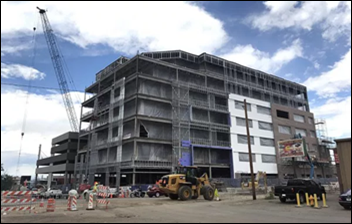 Text-based telemedicine company CirrusMD will move into larger office space within Denver’s new health IT-focused Catalyst HTI development next spring. It plans to add another 25 employees within the next year. In an effort to emphasize its focus on AI, predictive analytics company Faros Healthcare changes its name to Raiven Healthcare. 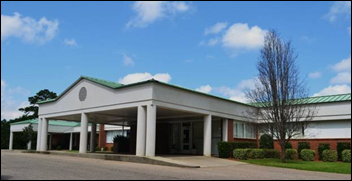 Jackson Medical Center (AL) implements Evident’s Thrive EHR. 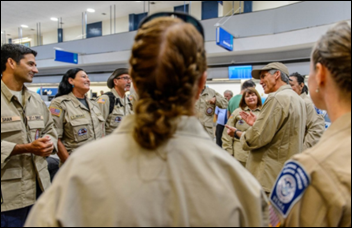 Madigan Army Medical Center (WA) personnel prepare to go live on MHS Genesis next month. It will be the first multi-branch hospital to roll out Cerner’s EHR for the DoD. Sixty-three percent of physicians and 41 percent of nurses use personal devices for work even when their hospital has a no-BYOD policy, according to a Spok survey of 350 healthcare personnel. Data security was cited as the main reason some hospitals prohibit BYOD programs. Top BYOD barriers include WiFi coverage, data security, and cellular coverage. Florida Hospital and Nemours Children’s Hospital (FL) see telemedicine utilization rates skyrocket after giving patients free access several days before Hurricane Irma hit. Nearly 2,700 patients downloaded Florida Hospital’s eCare app, while Nemours saw adoption of its CareConnect jump 554 percent. 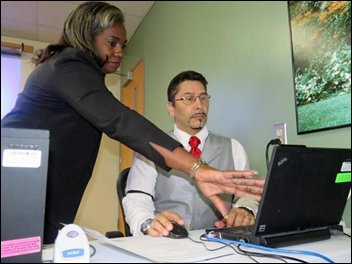 Over 100 people accessed Florida Hospital’s virtual care the Saturday before Irma – that’s 93 more than it sees on a typical Saturday. Innovaccer develops a Care Intelligence System that encompasses data integration, analytics, quality reporting, patient and provider engagement, and care coordination. Cuero Health System (TX) signs on with Revenue Maximization Group for practice management and RCM services. A study finds that patients who rely on Glytec’s digital glucose therapy management software see rapid glucose control and more easily maintain long-term A1C reductions. 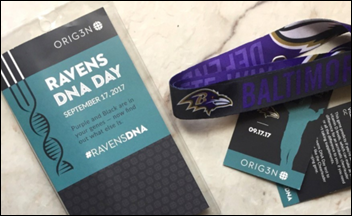 State and federal officials put the brakes on “DNA Day” at last weekend’s Baltimore Ravens game against the Cleveland Browns over privacy concerns. Fans were supposed to receive a DNA test kit from Orig3n that would let them test for four genes, but will now have to wait until the Boston-based company receives proper approval from the Maryland Dept. of Health. AdvancedMD will host its Evo17 User Conference September 20-24 in Nashville. Black Book highlights consolidations going on amongst several companies in its Top RCM Software & Services report. CoverMyMeds will exhibit at the PCMA Annual Conference September 25-26 in Scottsdale, AZ. Direct Consulting Associates will exhibit at the Ohio MGMA annual conference September 22 in Dublin. Built in Boston profiles Docent Health CEO Paul Roscoe. Lightbeam Health Solutions will provide population health management solutions to members of the American College of Osteopathic Family Physicians. Reaction Data publishes a new report covering UnitedHealth’s acquisition of The Advisory Board. Meditech customer Frisbie Memorial Hospital (NH) rolls out the company’s patient portal app.